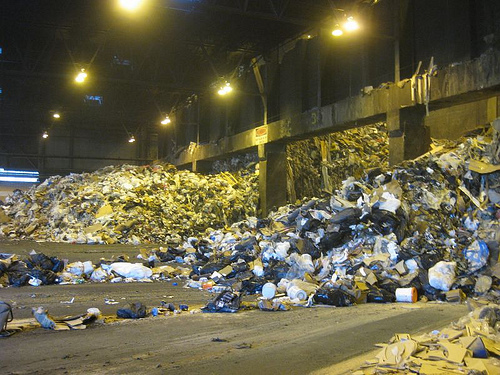 Cranfield University has reinvented the way to determine the renewable energy potential of waste before incineration. Benefits of the new method include reduction in cost, time and energy in processing the waste by energy companies. Since the Renewable Obligation Certificates (ROCs) scheme implemented by the UK Government requires that electricity companies determine how much of their electricity is produced from biomass or mixed fuels and as a result become eligible for incentives for how much renewable sources are used, there is was a need to review present processes for determining this percentage due to its labor and health safety issues. Presently, this is determined by painstakingly separating the waste into its individual components and sometimes even using expensive carbon-dating equipment which can only determine this retrospectively. The new way makes use of microwave and image analysis in determining the precise components of waste as well as how much renewable energy can be produced from each. Renewable energy from waste lecturer for Cranfield University, Dr. Stuart Waglan, enumerates the benefits of the procedure, saying that the process allows for greater control and manipulation of the renewable or biogenic components to ensure that optimal energy is produced from these renewable components. The new process would save time and enable accurate prediction of the amount of biogenic material (waste consisting of materials made by living organisms or biological processes like paper and food waste) in waste. This has drawn the attention of private companies, with further research scheduled to take place in conjunction with National Physical Laboratory. Estimations point that the annual 200 tons of waste produced in the UK can be used to generate about 4% of the UK’s total water and electricity requirements. Thus, waste has the potential to be a major contributor to energy needs so long as conversion processes become more environmentally-friendly and efficient in reducing carbon emissions and increasing the amount of energy generated. This may require additional waste treatment before the fuel pellets are produced or reduction of the eventual carbon footprint of waste through microbial action.